Sometimes you need a script doctor, sometimes you just need one in your boards. When you're sick of the same old actors, we've got the cure. 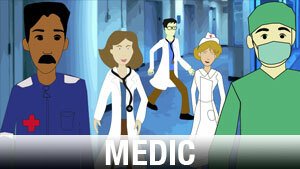 Unique medical professionals ready to make your storyboards look better! Each character is positioned in 5 poses and 6 rotations for each action.